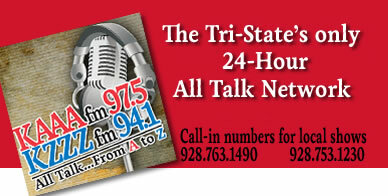 Hey, Everybody's Talkin'....on KAAA and KZZZ! From Searchlight to Needles, Kingman to Laughlin, Bullhead to Topock, and beyond…you’ll never be more than a push of a button away from the Tri-State’s All Talk Network. 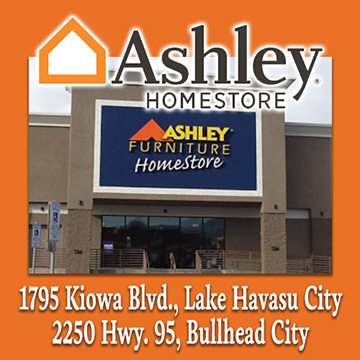 KAAA 97.5 fm in the greater Kingman area is networked with KZZZ 94.1 fm in the Laughlin/Bullhead City area to bring the Tri-State the best news/talk stations in the area. By broadcasting the biggest names in talk radio from two separate stations and taking advantage of their adjacent coverage areas, we are now able to offer the Tri-State’s only 24 hour talk radio network. Common ownership has now made it possible to join together the forces of KAAA 97.5 fm and KZZZ 94.1 fm to form All Talk From A to Z - the only Tri-State news/talk format powerhouse. Glenn Beck headlines the Morning Show followed by the big names of Rush Limbaugh, Dr. Sebastian Gorka, Mike Gallagher, Dan Patrick, Kim Komando, and more! You’ll be kept up-to-speed on the day’s latest events with our award-winning national news from FOX Radio News and our own local news on all of our stations. Weather is also updated hourly from the KAAA-KZZZ news team. Talk weekends bring you the best of our prior week's shows, so if you missed any of them, you can always catch up on Saturday and Sunday. 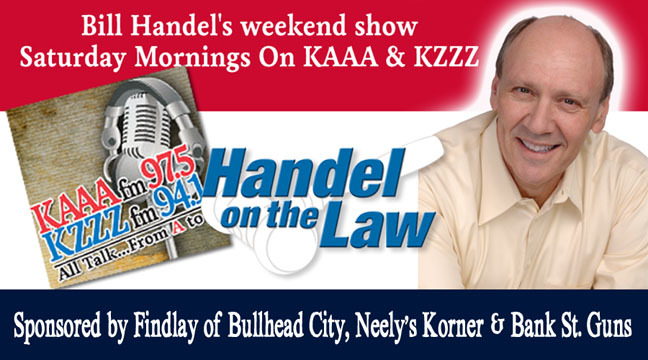 We have added Bill Handle On The Law on Saturdays and Armed American Radio to Sunday Nights...so tune in because everybody's talkin'! Now you can turn to the KAAA/KZZZ Talk Network for news, insight, and great information from around the world to around the corner.